SACRAMENTO, Calif. — California Gov. Jerry Brown (D) signed legislation into law Sept. 20 that reforms California’s Title 22 code, which regulates the laundering of healthcare linen, reports TRSA, the association for linen, uniform and facility services. The legislation, AB 2679, sponsored by Assemblymember Patrick O’Donnell (D-Long Beach), will give operators flexibility in processing healthcare linens to use lower wash temperatures and shorten the wash time. Previously, the Title 22 code prescribed laundering healthcare linens in 160 F water for a minimum of 24 minutes. However, due to advances in chemical technology and improvements in the mechanical action of the laundry process, linens can be processed at a lower temperature and less time while still being safe. TRSA played a key role in reforming the outdated Title 22 regulation. 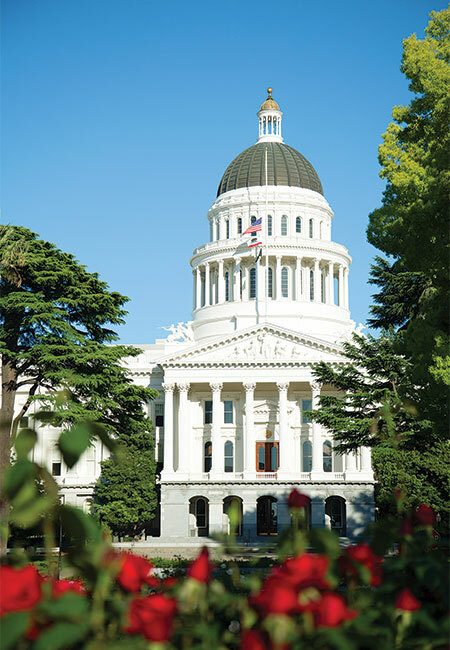 Its efforts included association members attending two California Legislative Conferences in Sacramento in order to urge lawmakers to support the bill. The original version of AB 2679 simply required the California Department of Public Health (CDPH) to update the Title 22 regulation, allowing for flexibility in the laundering process by Jan. 1, 2020. However, throughout the legislative process, the bill was amended to a better outcome for laundry operators, shares TRSA. Instead of waiting for the CDPH to rewrite the regulation, healthcare linen processing will be tied to the processing standards of the Healthcare Infection Control Practices Advisory Committee (HICPAC), TRSA says. The flexibility to decrease temperature and time will occur much sooner.